The 2018 Toyota Tundra is a full-size pickup truck. It has double and crew cab configurations as well as short, standard, and long bed lengths. A 4.6-liter V-8 engine comes standard, while a more powerful 5.7-liter V-8 is optional. Rear- and four-wheel drive options are also available. 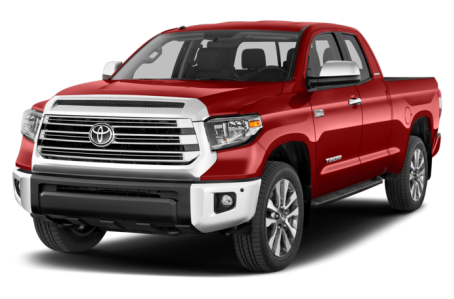 The Tundra has five trim levels: the SR, SR5, Limited, Platinum, and 1794 Edition.